Good news for me: I got a review copy of a book in the mail. My bookshelf is happy! 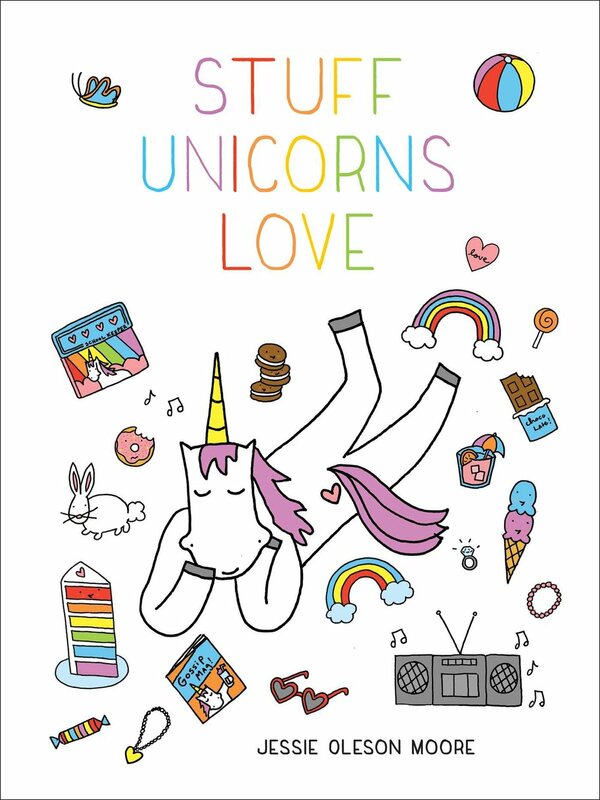 Good news for you: in this book, entitled The 250 Best Brownies, Bars and Squares , there is a recipe for UNICORN FOOD! Now, in the book they call it Rainbow Gelatin Squares, but I'm not fooled. And happily, I'm allowed to share the recipe! Here it is, courtesy The 250 Best Brownies, Bars and Squares . So here it is for you, so you can create this magic at home! whipped topping and fruit to top, if desired. Prepare the clear/translucent layers. In a bowl, combine gelatin dessert mix with 3/4 cup boiling water, stirring until completely dissolved. Add 3/4 cup cold water and mix thoroughly. Pour into a prepared baking pan and refrigerate for 35 to 40 minutes, or until almost set. Prepare the creamy layers. In another bowl, combine gelatin dessert mix with 3/4 cup boiling water, stirring until completely dissolved. Add 1/4 cup cold water and 1/2 cup evaporated milk. Mix thoroughly. Spoon over chilled translucent layer and refrigerate until almost set. Repeat the translucent and creamy layers, making 7 in all, chilling each layer before adding another. You can stack colors in whatever way you'd like. 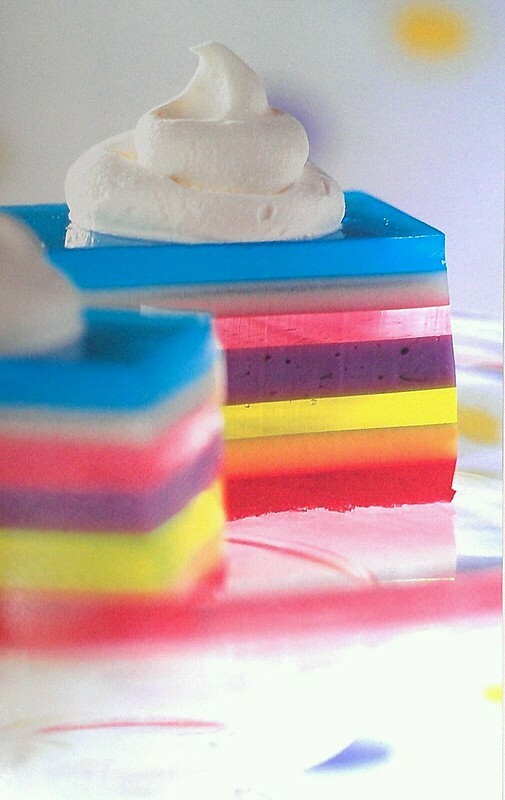 When all of the layers are completed and the gelatin is set, cut into squares. Decorate squares with topping and garnish of your choice.